Duck is usually the preferred bird when making this dish. It is served like a banquet food as the duck is braised with 8 different types of stuffing and cooked for at least 4 hours. The stuffing is glutinous rice, barley, gingko nuts, mushrooms, bamboo shoots, water chestnuts, chestnuts and lotus seeds. Since we already have a plum duck on the menu, I thought it would be interesting to use another bird - pigeon. The dilemma now is the texture of the pigeon. 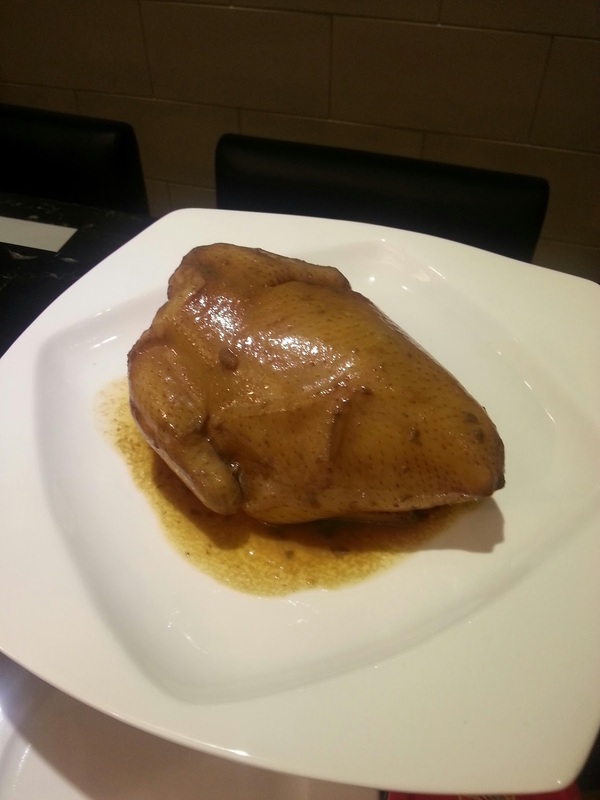 Cooked medium, it is tender juicy and succulent. But the redness of the meat doesn't appeal to my customers. Cooked confit style is a little too 'mushy' to my liking. Lets see how my dad likes it.